The 11th Annual Peace Poetry Contest & Reading honors the ideal of peace through the creation and submission of works on the topic. 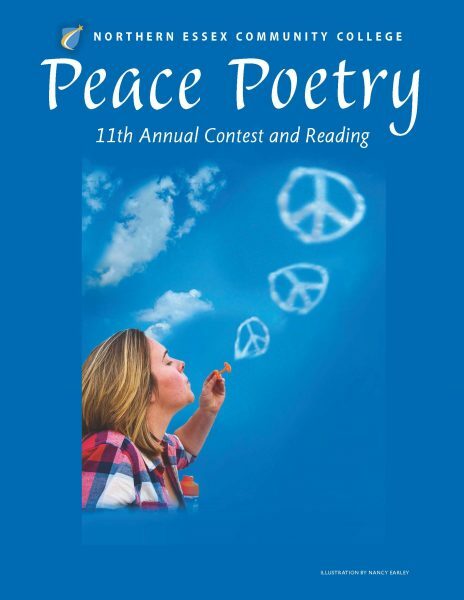 Children and adults from the NECC area (K-12 classrooms, both public and private, and adults affiliated with these schools) can create and submit their original poems and artwork on the subject of peace. The winners are invited to read their poems at the Peace Poetry Reading Event! Sponsored by the Office of the Vice President for Academic Affairs and Student Affairs, Division of Liberal Arts and Science, English Department, and Service Learning Committee.